I live in London and cycle most places, mainly to avoid using the tube. Does it ever bother you when they claim to be operating a “good service” when what they really mean is just normal service? I doubt that the London Underground ever offers a truly good service. 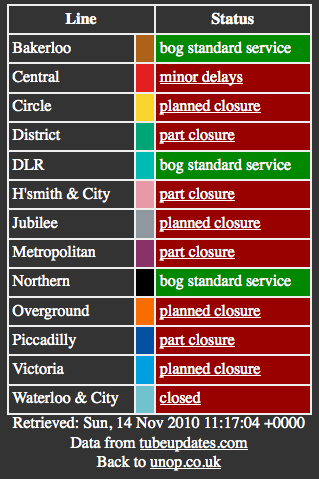 I have rectified this with a pragmatic tube status page. You can view it at unop.uk/tube and it has been designed with mobile browsers in mind. 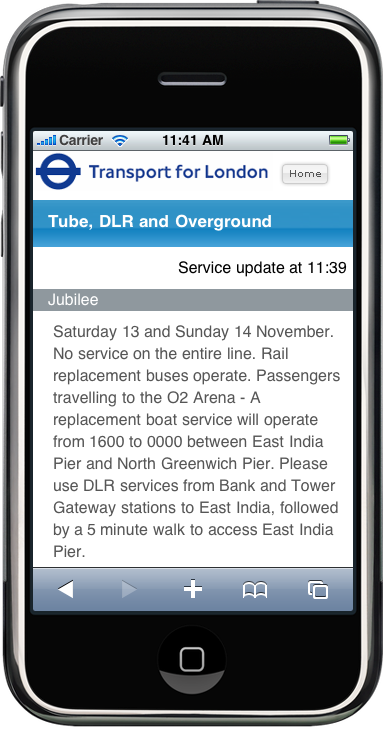 If the service is anything other than bog standard then it links to the detail messages on the TfL mobile site. If you are interested in how this works, then it is actually fairly easy. 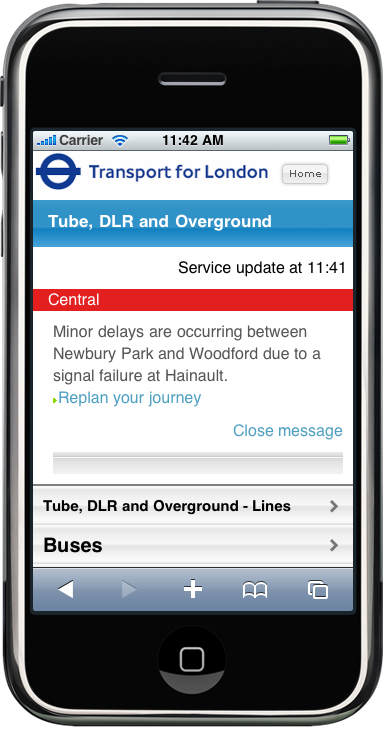 The status is pulled in XML format from tubeupdates.com (awesome, thanks) the TfL API then an XSLT is applied, which transforms it into the HTML to display. There is some PHP behind the scenes which retrieves the XML from the API, applies the transform and does some caching so it only updates at maximum once a minute. It’s MIT licensed and the code is on GitHub although it has changed a bit since this post was first written.